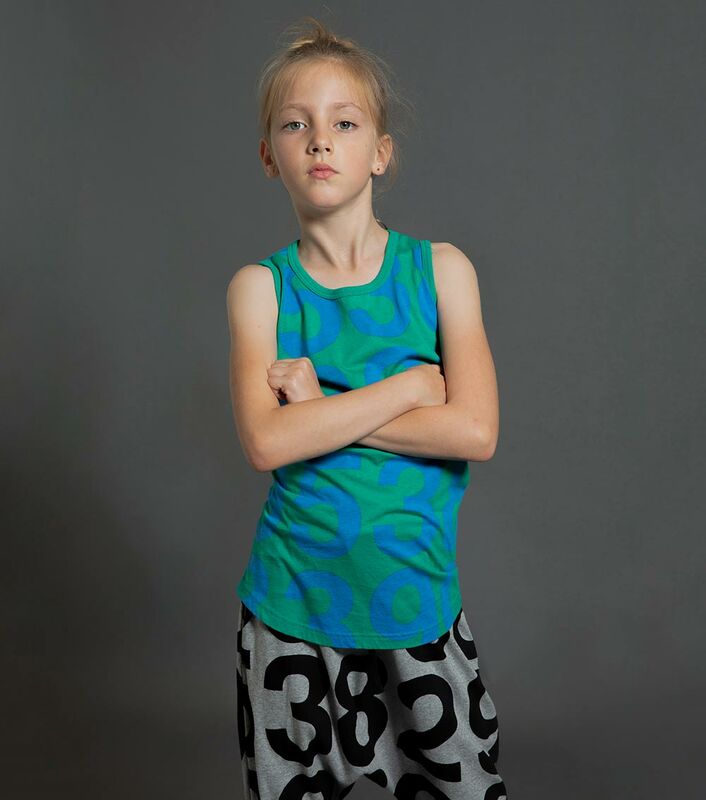 give me all the numbers & no one will get hurt. 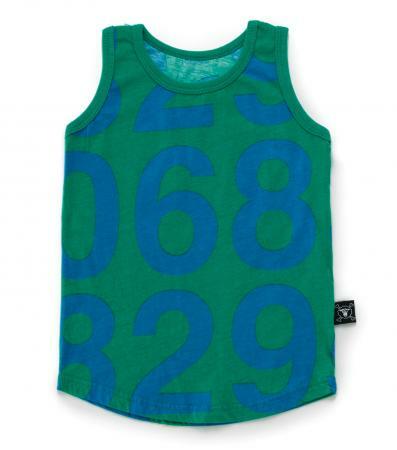 this green tank is such an awesome spring-summer staple for boys & girls. 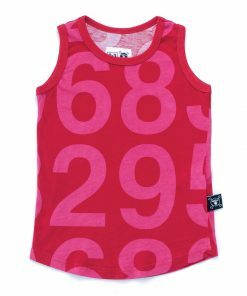 cut high in the neck and finished at the edges, it’s made from our softest, lightest cotton, easy to throw on with shorts, pants or over a bathing suit, maybe. the numeric print is smart & cool at the same time, especially in bright green & blue a new twist for neutral-loving nununu.